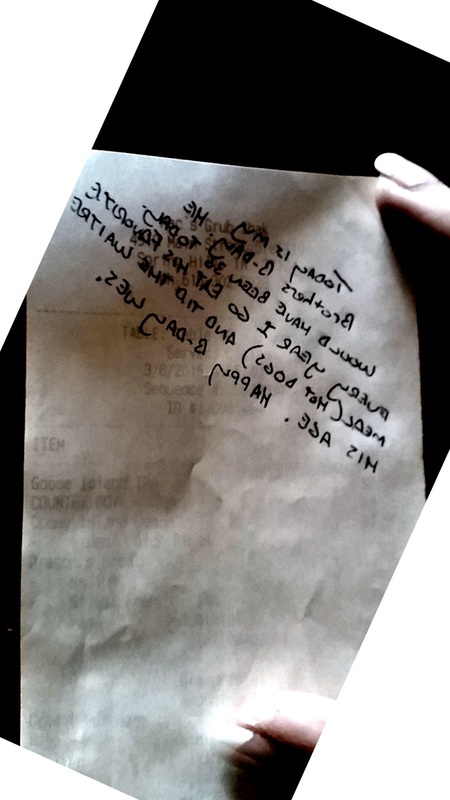 A WAITRESS IN the States was left godsmacked when she received the world’s sweetest (and saddest) tip during her shift yesterday. This guy sat in my section tonight and left a note on the back of his receipt. 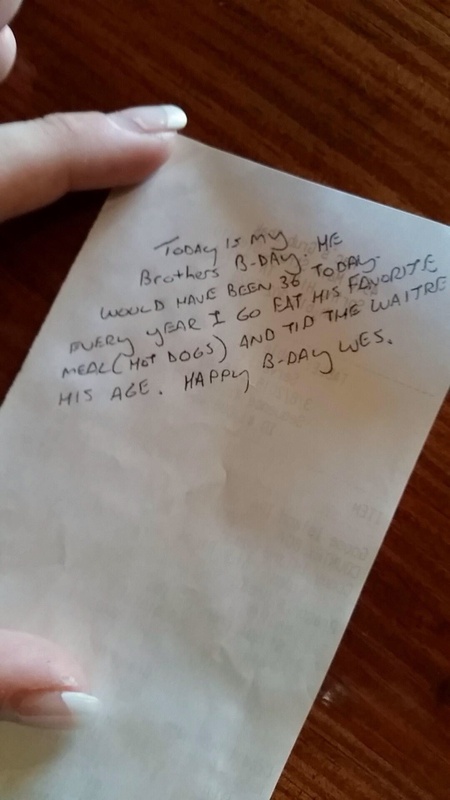 The tip explains that the mystery man goes to that restaurant on his late brother’s birthday every year to eat his favourite meal, hotdogs. He then tips his age to the person who serves him. Of course, some sceptical Redditor enhanced and reversed the receipt to make sure it checked out. It did, and revealed that the customer Spent $29.50, and tipped $36. Email “Man leaves heartwarming tip in memory of his late brother's birthday”. Feedback on “Man leaves heartwarming tip in memory of his late brother's birthday”.